And yes, Dibits and I did start out the day by singing that over and over. 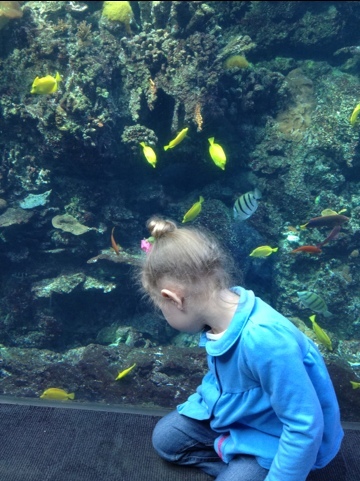 Our aquarium was having a Mommy and Me deal that expires this week and includes the adult ticket, up to four children’s tickets, parking, and tickets to the dolphin show and 3D show for something like half of the normal cost of one adult ticket. It was such a good deal that I felt we couldn’t let it pass us by. 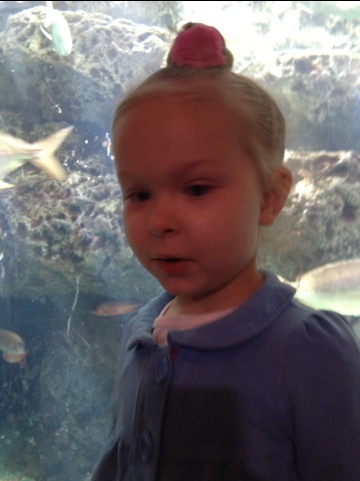 And I wanted to spend some special Mama and Dibits time together, so we went by ourselves. 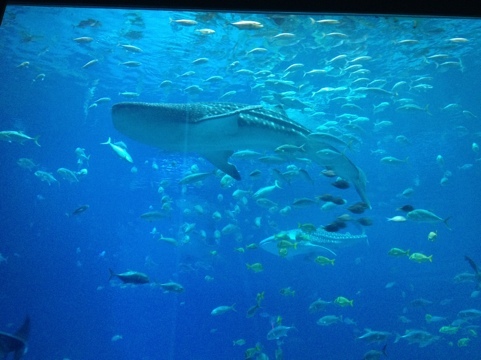 Anyway, this is the Georgia Aquarium and, if I am correct, the only whale shark exhibit there is, and that alone is worth the price of admission. Simply amazing. 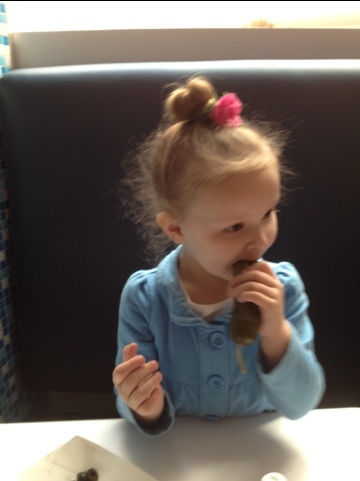 For lunch, out of all the options, Elizabeth chose a giant pickle. Which was nice, since it was about $6 cheaper than a kid’s meal. 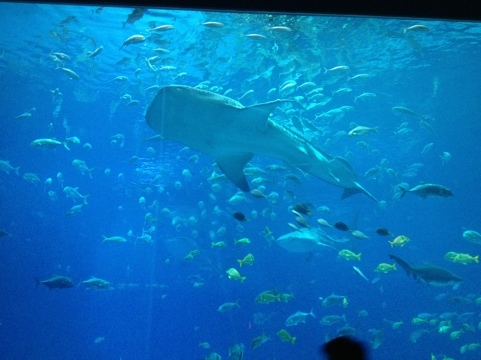 The aquarium has a pretty nice restaurant and I understand that I am not only paying for the cost of my food, but also for the beluga’s lunch as well, but the prices there make me want to quote Jerry Seinfeld. “Don’t they know how much things cost everywhere else?” Tuna’s very rare here.